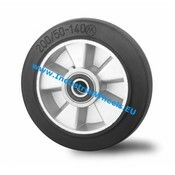 Our aviation wheels are perfect for all applications in and around airfields. 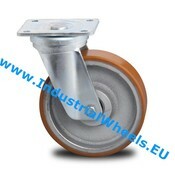 These wheels are heavy duty and can handle up to 6,900 kg. 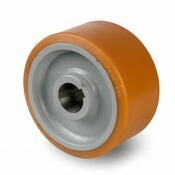 Our aviation wheels are made from materials ranging from rubber to Vulkollan®. 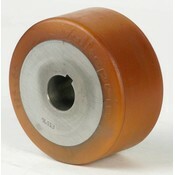 Different materials are better suited to different environments. 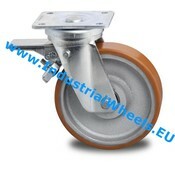 Depending on the terrain and environment you can choose between a Vulkollan® or a rubber wheel. 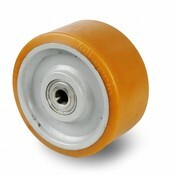 The rubber wheel is quieter and creates a smoother ride than the Vulkollan® tread. The downside of the rubber wheel is that it's more prone to wearing off. 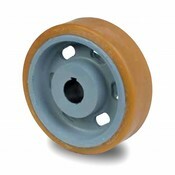 Our wheels are widely used for fork lift trucks, aircraft trolleys, aviation vehicles and all sorts of transport solutions in and around airfields. Do you need some extra help or do you need something custom made? Contact us! When should I use Vulkollan? 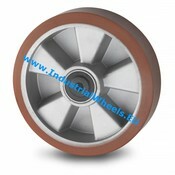 Vulkollan Wheels are known for their high load capacity, excellent rolling properties and high tear strength. Other polyurethanes use isocyanides of less quality. 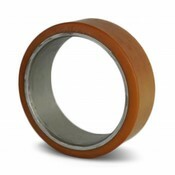 Vulkollan ® is the best available polyurethane elastomer and is .